The highlight of the tour was the boat ride through the caves and catching a glimpse of Skull island from the movie King Kong. This is a must do activity and don’t forget to tip the boatman working the boat! It’s hard work manoeuvring the caves and commuting to and fro. 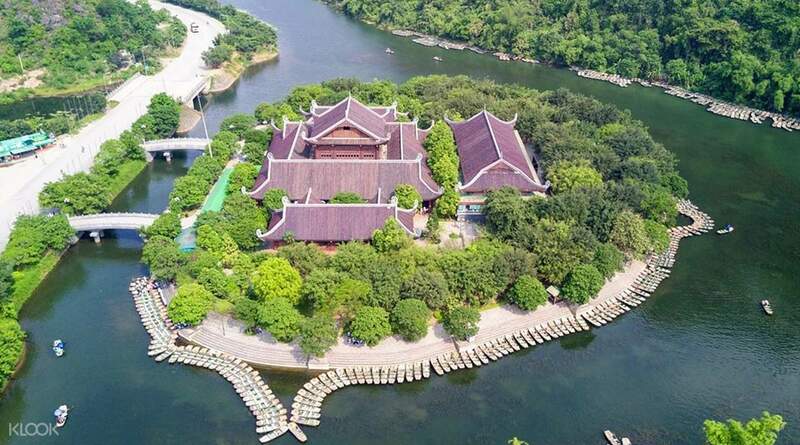 I was confused and felt inconvenient when I arrived the temple, tour guide told me that my electronic car ticket was not included in this tour. I needed to purchase the ticket by myself. However, I haven't found this note from the tour content page and actually I didn't mind to spend extra tour fee to contain this ticket... but overall this trip is satisfactory and the tour guide is kind. I was confused and felt inconvenient when I arrived the temple, tour guide told me that my electronic car ticket was not included in this tour. I needed to purchase the ticket by myself. However, I haven't found this note from the tour content page and actually I didn't mind to spend extra tour fee to contain this ticket... but overall this trip is satisfactory and the tour guide is kind. If you're booked with Mr. Xiac (I hope I got it right), then you just know that you're in for a great ride. 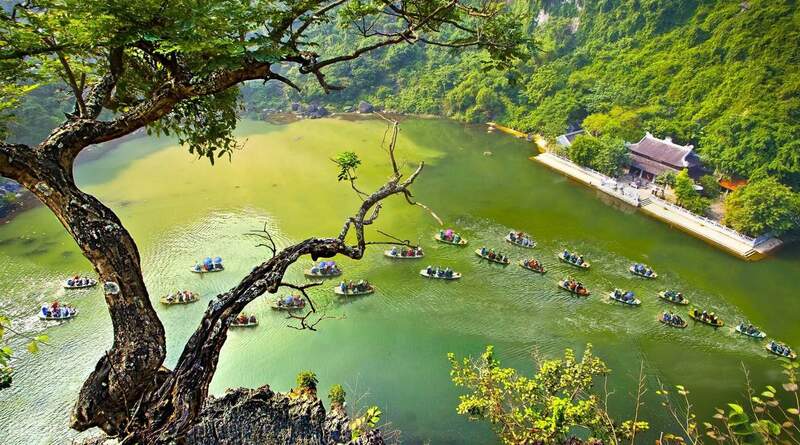 If you need a more relaxing tour, opt for this Ninh Binh tour instead of the Hoa Lu - Tam Coc area or Ha Long Bay. A lot of historical and cultural knowledge about Buddhism in Vietnam can be learned from this tour. If you're booked with Mr. Xiac (I hope I got it right), then you just know that you're in for a great ride. 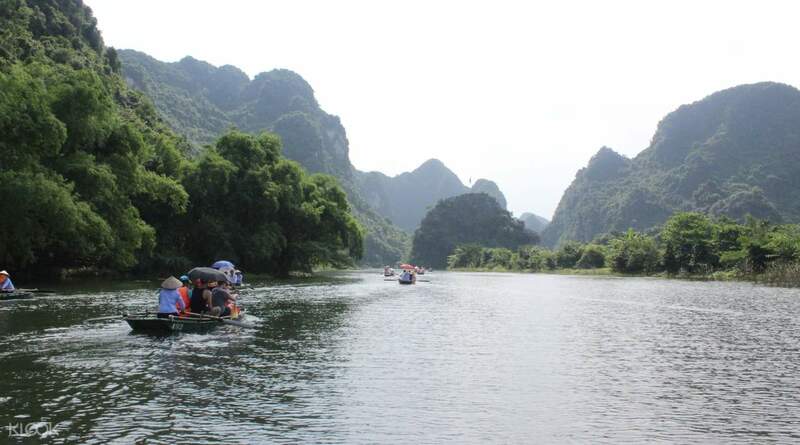 If you need a more relaxing tour, opt for this Ninh Binh tour instead of the Hoa Lu - Tam Coc area or Ha Long Bay. 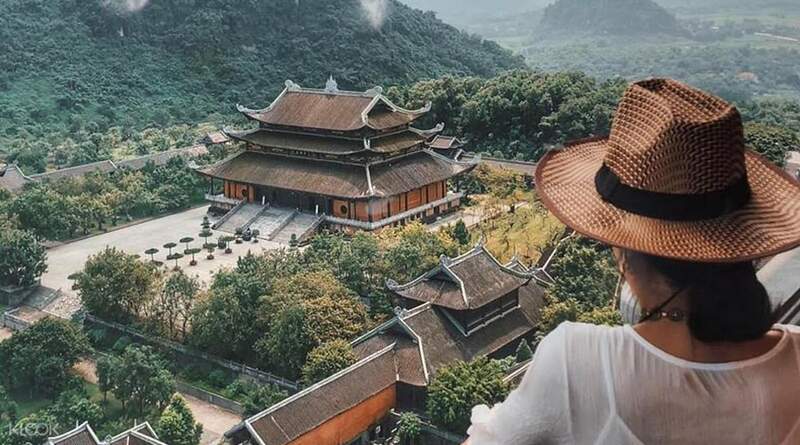 A lot of historical and cultural knowledge about Buddhism in Vietnam can be learned from this tour. good is much better than halong bay 1 day tour but fo beware the in between stop all item sold there mark up st least 70% but better than halong bay stop they mark up more than 200% think before you buy if u join the halong bay trips. this trip Is much better if u have a day to spare. good is much better than halong bay 1 day tour but fo beware the in between stop all item sold there mark up st least 70% but better than halong bay stop they mark up more than 200% think before you buy if u join the halong bay trips. this trip Is much better if u have a day to spare. The tour was great and the guide did his job well. Our bus was almost full of tourists and yet, we were on time throughout the journey. Buffet lunch was okay and food was replenished very regularly. The 2-hour boat ride was the highlight of the day. The scenery is really nice. Bring your selfie stick! Blessed with great weather, we were able to enjoy the whole tour. Thumbs up! The tour was great and the guide did his job well. Our bus was almost full of tourists and yet, we were on time throughout the journey. Buffet lunch was okay and food was replenished very regularly. The 2-hour boat ride was the highlight of the day. The scenery is really nice. Bring your selfie stick! Blessed with great weather, we were able to enjoy the whole tour. Thumbs up! We love the Trang An boat excursion. The caves are stunning. However we didnt quite enjoy the trip to the temple. But it could be due to personal taste. if you love visiting temples, you might enjoy it as well. We love the Trang An boat excursion. The caves are stunning. However we didnt quite enjoy the trip to the temple. But it could be due to personal taste. if you love visiting temples, you might enjoy it as well. Although we booked with Klook, the tour was conducted by APT travel company. Although they told they would be contacting us before the tour, they did not, so I was a bit nervous because of others who wrote they were not picked up. Anyway, I contacted the number in the voucher via WhatsApp and then everything was fine, but they should have at least acknowledged that they got our hotel right. It's also a bit disappointing they do not include the electric bus ticket at the Pagoda. The other guests who had apparently booked with APT had it included. The guide and driver was great. The buffet was average. Trang An was excellent. Overall a must do. Although we booked with Klook, the tour was conducted by APT travel company. Although they told they would be contacting us before the tour, they did not, so I was a bit nervous because of others who wrote they were not picked up. Anyway, I contacted the number in the voucher via WhatsApp and then everything was fine, but they should have at least acknowledged that they got our hotel right. It's also a bit disappointing they do not include the electric bus ticket at the Pagoda. The other guests who had apparently booked with APT had it included. The guide and driver was great. The buffet was average. Trang An was excellent. Overall a must do. the tourguide and bus is very good. nice view in pagoda and river boat trang an. pagoda is a large complex. river boat has 1000 meters long cave that is very exciting. the tourguide and bus is very good. nice view in pagoda and river boat trang an. pagoda is a large complex. river boat has 1000 meters long cave that is very exciting. This has been an amazing experience. Our guide was Ms. Chen/Chang/Chan. She is 23 years, very accommodating, witty and beautiful to boot! shout out to you (find me at MK Arguson at Facebook). The hotel pick up was a little delayed so we had the hotel call for follow up. But if you ever been to Vietnam, you can probably guess why, and that's very understandable. The 1st stop with the temple/pagoda tour was good, some long walks and history here. The real selling point for me was the Trang An tour. Our boat rower was very very polite and they all really worked hard paddling for 2 hours (those guys actually take turns and no one is a regular) and so we helped at the end and still gave a good tip. I heard the boat rowers at Tam Coc can be extremely hard to deal with and will pull all kinds to stunts to just get a tip King Kong set/island was great as well. The lunch was a buffet and everyone in our party liked it. We went with the Trang An tour instead of Taking Coc since it was December since it's winter and nobody plants at Tam Coc at winter, and thus it loses its charm. Trang An is not affected by this and ducking through the caves was pretty neat as well. I would not hesitate to recommend this tour to anyone. This has been an amazing experience. Our guide was Ms. Chen/Chang/Chan. She is 23 years, very accommodating, witty and beautiful to boot! shout out to you (find me at MK Arguson at Facebook). The hotel pick up was a little delayed so we had the hotel call for follow up. But if you ever been to Vietnam, you can probably guess why, and that's very understandable. The 1st stop with the temple/pagoda tour was good, some long walks and history here. The real selling point for me was the Trang An tour. Our boat rower was very very polite and they all really worked hard paddling for 2 hours (those guys actually take turns and no one is a regular) and so we helped at the end and still gave a good tip. I heard the boat rowers at Tam Coc can be extremely hard to deal with and will pull all kinds to stunts to just get a tip King Kong set/island was great as well. The lunch was a buffet and everyone in our party liked it. We went with the Trang An tour instead of Taking Coc since it was December since it's winter and nobody plants at Tam Coc at winter, and thus it loses its charm. Trang An is not affected by this and ducking through the caves was pretty neat as well. I would not hesitate to recommend this tour to anyone. beautifully done. arrangememts were reat..the guide Mr Siac was good. food n restaurant was great..trang an was really majestic . beautifully done. arrangememts were reat..the guide Mr Siac was good. food n restaurant was great..trang an was really majestic .